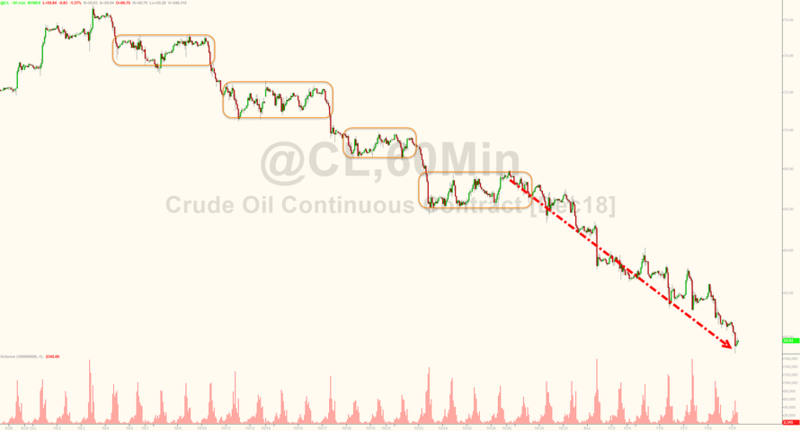 WTI Crude is trading back below $60 for the first time since March (and Brent below $70) as Washington's decision to allow eight countries to continue importing from Iran, which it slapped with sanctions earlier this week; as well as pledges by Saudi Arabia and other producers to pump more (as well as surges in American supply and stockpiles), have turned fears of a supply crunch into talk of an oversupply. 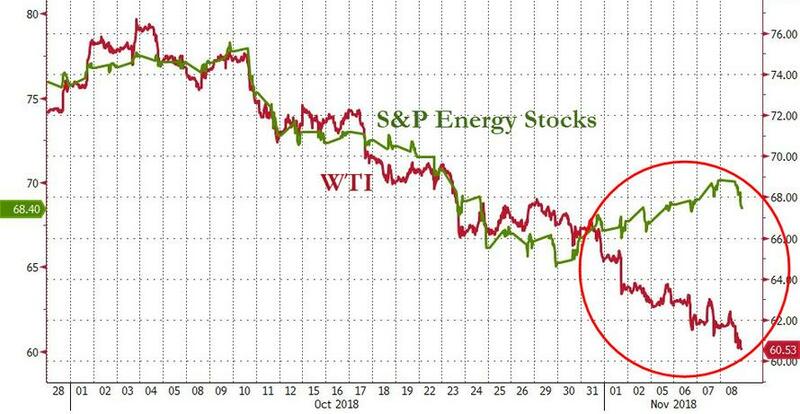 “The focus is on negative sentiment in oil and negative momentum,” said Giovanni Staunovo, a commodity analyst at UBS Group AG. 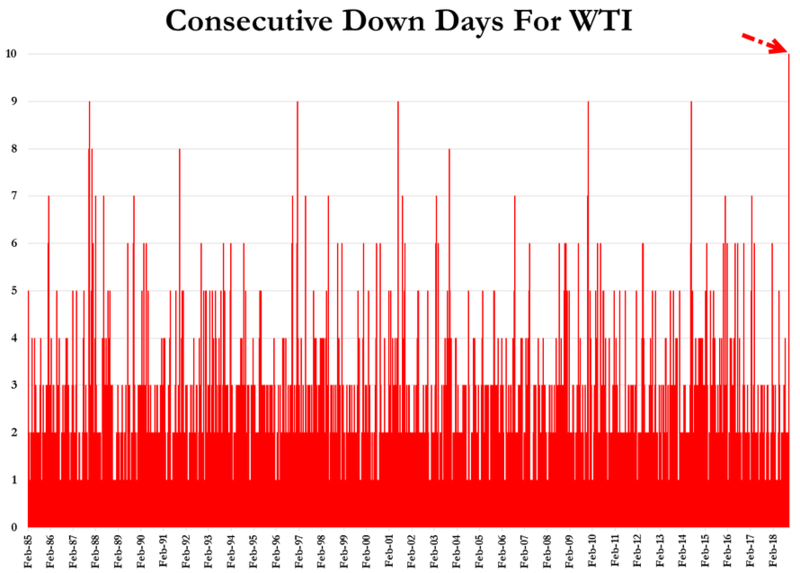 Is it time for Energy stocks to catch down to reality? 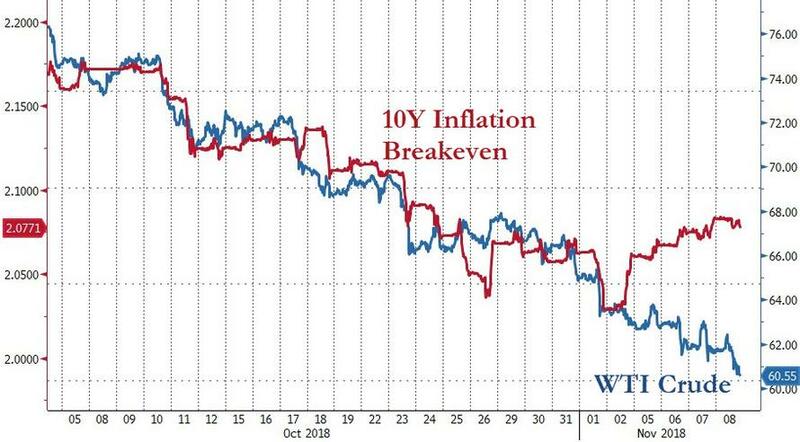 And are inflation breakevens about to tumble?